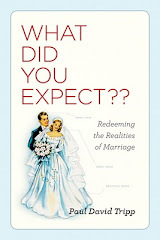 Marriage God's Way: Are You Crazy? It has been said that the definition of crazy is to do the same thing over and over again but to expect different results. Unfortunately this describes the way that many couples communicate about specific subjects and/or react to one another’s behavior. For example every time the couple talks about finance it ends up in a heated argument or one or the other withdraws. Ring, ring – clue phone, the same approach will yield the same results every time. First of all put aside the “I’m right – he/she is wrong” opinion as this becomes a tug of war that even if you win, you lose. As long as you hold on to such a position you eliminate the possibility of a compromise. When you move from a win-lose position to one of seeking to understand, a number of better outcomes are possible. Begin with the assumption that you both have a good reason for holding the view that you do. Next try praying together before you start your discussion. Pray that the Lord will allow each of you to come to a better understanding of each other’s view and that He will help you to arrive at a solution that will glorify Him. Now employ “active listening”. Each of you should describe what you believe to be true about a particular subject and why. The other person is responsible to repeat back what they heard, until they get it right. In many instances deeply held beliefs go back to childhood experiences. Or perhaps each person behaves the way their parents behaved or the opposite of how their parents behaved. Finally what is the outcome each person is seeking? In the area of finances are you following a Biblical model? If you are not sure, go to Dave Ramsey’s website (www.daveramsey.com) or that of Crown Financial (www.crown.org). Agree that God’s plan is probably better than either of your own plans and put it into practice for six months to see if things are better. The point is to try something different, something that will glorify God and put an end to the crazy cycle of doing the same thing over and over expecting different results.